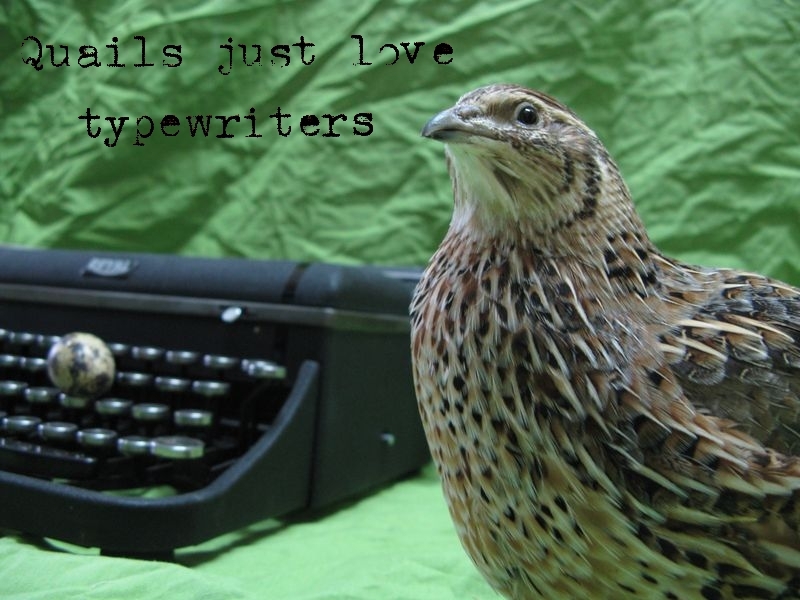 Neither typewriter nor quail were harmed during the making of these photos. Very nice photos! Did you raise the quail? oh sure - taunt me with your mid-forties Royal! @MEK; We incubated three other quails two years ago, but we bought this one (and 4 others) when it was about 10 weeks old from a farm nearby last December. 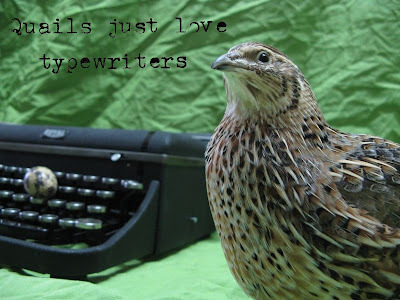 @Miguel, I think they just lack the strength - when I took these photos, the quail actually jumped onto the keyboard twice!